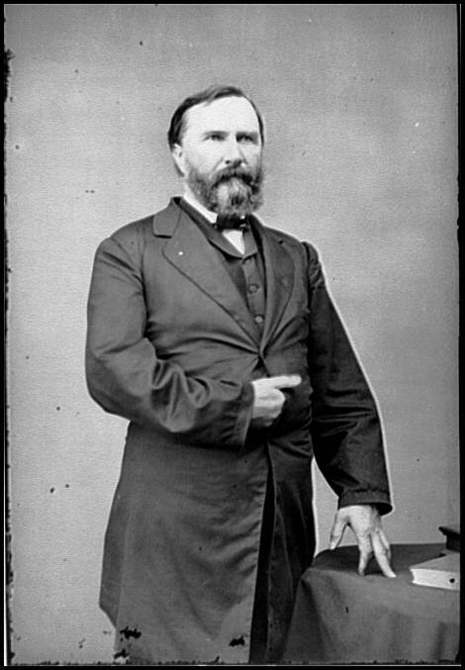 On May 6, 1864, Confederate General James E. Longstreet was seriously wounded, caught in the fire of his own troops during the second day of fighting at the Battle of the Wilderness, eighteen miles west of Fredericksburg, Virginia. Finding out that his old friend Ulysses Grant was in command of the Union Army, he told his fellow officers that "he will fight us every day and every hour until the end of the war." 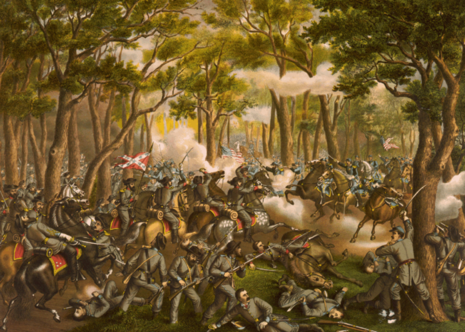 Longstreet helped save the Confederate Army from defeat in his first battle back with Lee's army, the Battle of the Wilderness in May 1864, where he launched a powerful flanking attack along the Orange Plank Road against the Union II Corps and nearly drove it from the field. Once again he developed innovative tactics to deal with difficult terrain, ordering the advance of six brigades by heavy skirmish lines, which allowed his men to deliver a continuous fire into the enemy, while proving to be elusive targets themselves. Wilderness historian Edward Steere attributed much of the success of the Army to "the display of tactical genius by Longstreet which more than redressed his disparity in numerical strength." After the war, the Union II Corps commander that day, Maj. Gen. Winfield S. Hancock, said to Longstreet of this flanking maneuver: "You rolled me up like a wet blanket." Longstreet was wounded during the assault—accidentally shot by his own men only about 4 miles (6.4 km) away from the place where Jackson suffered the same fate a year earlier. A bullet passed through his shoulder, severing nerves, and tearing a gash in his throat. The momentum of the attack subsided without Longstreet's active leadership and Gen. Lee delayed further movement until units could be realigned. This gave the Union defenders adequate time to reorganize and the subsequent attack was a failure. E.P. Alexander called the removal of Longstreet the critical juncture of the battle: "I have always believed that, but for Longstreet's fall, the panic which was fairly underway in Hancock's Corps would have been extended & have resulted in Grant's being forced to retreat back across the Rapidan." — Robert Stiles, an artillery officer, on the wounding of General James Longstreet.